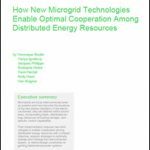 Some states also offer incentives for microgrids, or for components of the project, such as combined heat and power. In Chapter 6 we profile several of these projects. In addition, New Jersey has created a $200 million resilience bank for the development of distributed energy resources at critical facilities. Other states, including California, Connecticut and New York, have developed Green Banks, which use public funding to leverage private capital; the funds may cover components of microgrids, such as solar energy. But most notable among state programs is the NY Prize, a $40 million grant program to create model community microgrids. New York has already begun awarding $100,000 prizes to cities for feasibility studies in the first stage of what will be a three-stage grant process. Money is available for local governments, community organizations, non-profit entities, for-profit companies and municipally-owned utilities. More details about NY Prize are here. As you draw up the blueprint for financing a municipal microgrid, consider the factors outlined above. Bring together a knowledgeable team of stakeholders with experience in microgrid financing. Evaluate the many sources of capital that can be used to support the physical components of your project. As you map out your options, inquire about each funding source to see what opportunities will work best for your town or city. Your job can be made easier by working with an experienced energy development team—particularly one knowledgeable about microgrids, CHP and district energy. So far we’ve provided a basic overview of the microgrid and its components. And we’ve discussed microgrid benefits and how communities can pay for projects. Now we will look at next steps to develop a microgrid, and how mayors and city leaders can this technology to their communities. Special thanks to Kat Friedrich for her many contributions to this article. 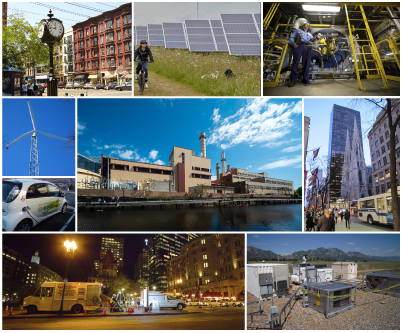 To read the rest of this article series now, go to “Community Microgrids: A Guide for Mayors and City Leaders Seeking Clean, Reliable and Locally Controlled Energy,” available as a free download, courtesy of the International District Energy Association (IDEA) and OBG. Or visit EnergyEfficiencyMarkets.com next week.